Oh my gosh, You posted!!! Such a cute pic too! So when are done with texas ,anyways? Happy new year to you too! ha Amanda! That's so funny! I know, i'm the WORST blogger ever.seriously. This is DARLING! I too am SUPER excited you finally posted, but would love to see more!! Love you! You posted! I check in often in hopes of seeing something new :) I thought maybe you moved your blog and I missed it! I am such a huge fan of everything you've posted here. You're doing such a phenomenal job, and give me tons of inspiration! Thanks!!! 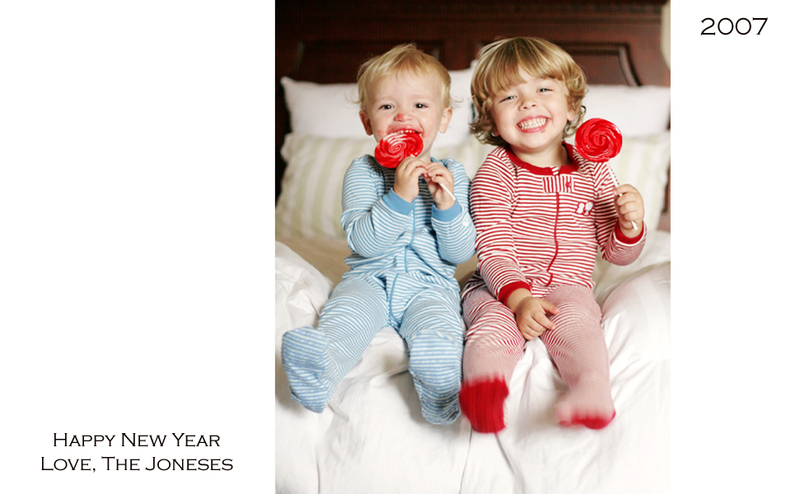 love the angle, how you caught the kicking of thier feet and their adorable matching jammies! CUTE!